It is a broadly described annual report of Heidelberg Cement Bangladesh Limited in the year of 2014. The Company contributes a substantial amount to the National Exchequer by way of duties and taxes. 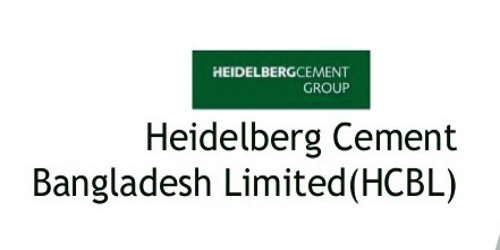 Heidelberg Cement Bangladesh Ltd. contributed to the National Exchequer Tk.4406 million in 2014. The company qualifies as a “Publicly Traded Company” as defined in income tax laws. The applicable tax rate for the company is 27.5%. If the company pays cash dividend 30% or more on paid-up capital, then the company will enjoy 10% tax rebate on income tax payable as per Finance Act 2014. Provision for taxation has been made on this basis which is in compliant with the Finance Act 2014. Revenue of the company increased by 5.50% to BDT 10,505 million, gaining market share despite the political uncertainty plaguing the country. The Company’s net profit after tax for the fiscal year decreased from the prior year by 19.98% to BDT 1180 million. Earnings per Share (EPS) came to BDT 20.88. During the year, the Company has paid a total amount of BDT. 180,000 as Board meeting attendance fees. The company’s dividend policy is to maintain the consistency and to recommend dividend commensurate with the performance of the Company. The Board of Directors recommends cash dividend of Tk.38/- (Taka Thirty-Eight only) per share for the year ended 31 December 2014.